The Session: Beer Blogging Friday. Barleywine, for when it snows. On the first Friday of every month, a pre-determined beer blogger hosts The Session: Beer Blogging Friday. He or she chooses a specific, beer-related topic, invites all bloggers to write on it, and posts a roundup of all the responses received. For more information, or to sign up as a host, go to the home page. Jon Abernathy is the author of Bend Beer: A History of Brewing in Central Oregon, and the writer of The Brew Site, a blog on "all things beer and brewing. Based in Bend, Oregon, there is of course a strong Oregon beer focus." 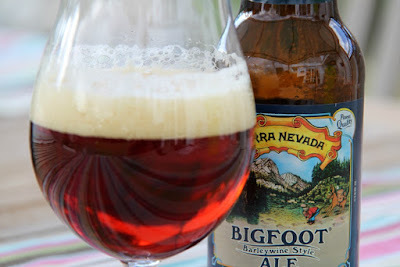 What style(s) of beer do you prefer for this cold weather? Open one up and write about it. Do you dip into the stash or cellar, and drink something special? Does the occasion warrant it? Why, or why not? When you know the weather’s coming, do you stock up on a favorite or go-to beer? What makes you pick this particular beer? Are you a homebrewer? Maybe this is the perfect time for a brew day—what would you brew? Have you brewed in the snow before? Alternatively, perhaps you have a hodge-podge of brewing ingredients lying around but nothing definitive—could you MacGyver up a homebrewed beer from only what you have on hand? There’s plenty of time to catch up on reading; what beer book(s) would you read? If not a beer book, what would you be reading—and what beer would you pair with it? 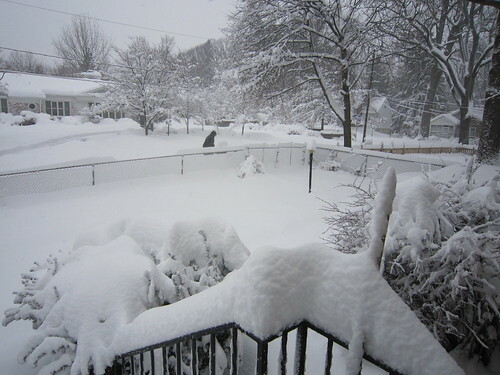 I don't remember now if it were snowing that evening in November 1993 in Arlington, Virginia. But it might as well have been. It was a very cold night. My friend and I had just finished watching a screening of Tim Burton's A Nightmare Before Christmas. We stepped out of the comfort of the movie theater, and a vicious wind unwelcomingly insinuated itself despite the leather of our jackets and the tight wrap of our scarves. "Let's duck into Bardo," my friend said. 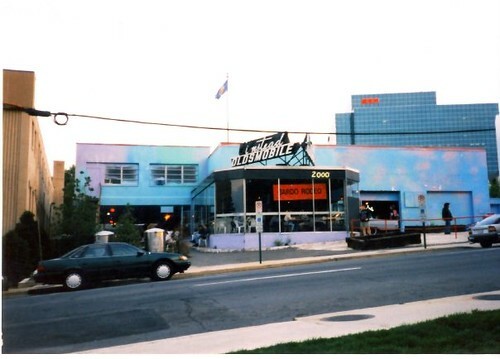 A block from the movie theater, located within a former Chevrolet dealership, the cavernous Bardo Rodeo was the first brewpub (and, at the time, only) to operate in Arlington, a suburb of Washington, D.C. Cold as we were, we knew that no brown ale, IPA, nor even a stout would suffice. Ah, but my friend did know the anodyne. "What barleywines do you have?" she asked. "We don't have barley wines," the tattooed bartender informed us. "But," she added, with just a tincture of haughtiness, "we do have red and white wines." Looking at the taps behind the bartender, my friend replied, "Well then, I'll have that Sierra Nevada Bigfoot BARLEYWINE you have on tap ... right there." Nonplussed, the bartender acquiesced, and poured us two. My friend and I were soon warm and content. Barleywine, big and boozy... for when it snows. Upon further consideration, as NFL officials are wont to say, maybe it was Anchor Brewing's Old Foghorn that was on tap at that night Bardo Rodeo. (Northern Virginians were fortunate to have that original 'craft' American barleywine on draft.) But the conversation at the bar, as written, did indeed occur; draft barleywine was indeed drunk. At least, I think it was. Two decades and 9% alcohol beer can have that effect. 2 What's a barleywine-style ale? At the Brookston Beer Bulletin, beer writer Jay Brooks examines just that, in the first installment of a series that he calls Typology. Mr. Abernathy notes of The Brew Site: "I have been writing this blog since 2004, which I believe makes The Brew Site the longest-running American beer blog." Yours for Good Fermentables, however, first appeared in ... 2002! I just saw the postscript about this blog being around since 2002! I had no idea, but that's pretty awesome! Yours will definitely get the nod. Thanks, Jon. I enjoy reading your blog, as well.